Cooperativa Ceramica d’Imola strongly believes in the value of the environment and feels that its industrial production objectives should be pursued and fulfilled using strategies and facilities that allow the optimal and efficient use of the resources and in complete respect of the environment. It is for this reason that Cooperativa Ceramica d’Imola focus on minimizing the environmental impact of its production of ceramic tiles and optimizes the use of natural resources thanks to the recycling processes which recover the waste from the various raw and cooked processing as well as optimizing the water supply resources and the reutilization of recyclable material for packaging. Through the introduction of optimized plant solutions, Cooperativa Ceramica d’Imola is devoted to constantly reducing the energy consumption of the production processes. The majority of the electrical energy utilized is produced in-house through the use of the most modern cogeneration systems. Cooperativa Ceramica d’Imola is dedicated to minimizing the environmental impact of its industrial production in order to protect the entire ecosystem. Therefore, Cooperativa Ceramica d’Imola completely recovers all of the water used in the working processes thus reducing the discharge to zero; it performs continual monitoring of the significant emissions in order to achieve a high level of reduction of the pollutants that are critical to the environment, it conducts complete differential waste collection of the paper, plastic material, wood, steel and copper. Through the implementation of a precise company policy on sustainable development, Cooperativa Ceramica d’Imola has obtained Eco-management and Audit Scheme (EMAS) registration. This is an important recognition on a European level related to production sites that aim at the continuous improvement of production standards and awareness of all of its employees in terms of protecting the environment. 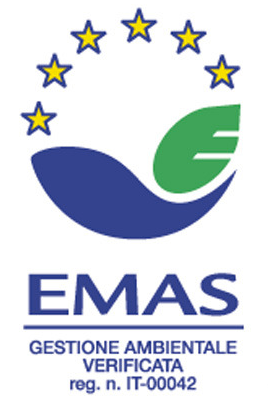 The EMAS system is a voluntary awareness for those companies committed to evaluating and improving their environmental efficiency through a more responsible choice of buying and management, a more careful use of air, water, territory, raw materials and energy. Efficiency in preventing environmental degradation thanks to the implementation of a large range of skills concerning environmental problems in the ceramics sector, in its prevention means, waste plant management and controls especially in terms of waste water and atmospheric polluting agents released emissions. Transparency thanks to its continuous dialogue with consumers, citizens, public administration offices with the consequent aim of directing the market towards the choice for products and services with low environmental, social and economic impact. 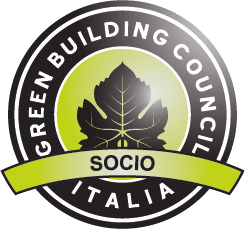 Cooperativa Ceramica d’Imola is a member of the Green Building Council Italia, which operates for the diffusion of the LEED accreditation system. In relation to the characteristics and production process in which they are manufactured, tiles can contribute to obtaining L.E.E.D (Leadership in Energy and Environmental Design) credits. LEED is an energy-environmental accreditation system for buildings and is characterised by a points system attributed according to the verified conformity of several pre-established “credits”. This contribution is evaluated over the total of materials used in the building. LEED standards are currently more diffused in North America with rapid expansion in other geographical areas. LEED standards are elaborated by the US GBC with the collaboration of companies and American and Canadian university researchers and indicate the requisites for constructing eco-compatible buildings that can “function” in a sustainable and independent way in terms of energy. In short, it is a rating system (the Green Building Rating System) for the development of “green” buildings. LEED is a flexible and articulated system with differentiated categories for building types, such as: NC, New construction and major renovations, EB, Existing Buildings, LEED for Schools and LEED Homes for small homes, although always maintaining a coherent base for all the categories. The system is based on the attribution of credits for each of the requisites that characterise the sustainability of the building. The sum of the credits gives the level of certification. The Ecolabel certification system is a European scheme that defines environmental and industrial policies to encourage the presence of ‘clean’ products on the market. Issued by a competent body after verification that the above criteria are respected. Cooperativa Ceramica d’Imola has obtained ECOLABEL certification for its products, characterised by reduced environmental impact in relation to the strict environmental standards established by the European scheme. 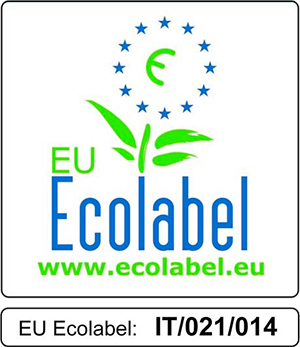 The certified products are reported in the section ‘product search’ with the appropriate identification mark Ecolabel. All ECOLABEL products, in full respect of precise criteria on the production cycle, represent the environmental and production excellence of Cooperativa Ceramica d’Imola. Cooperativa Ceramica d’Imola’s P.S.V. 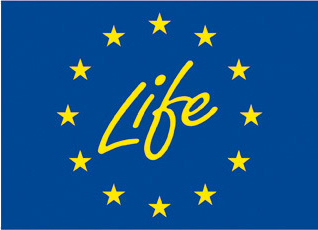 project has been recognised by the European Union in the context of the Life Environment project. Polishing Sludge Valorisation envisages the implementation of an ecological process for the valorisation of sludge deriving from the processing of ceramic and related materials (marble, granite) by means of the fine tuning of an innovative recycle process. Over and above recovery and valorisation of raw and secondary materials currently stored in dumps, the environmental impact of polishing and processing ceramic materials would be zeroed and new, wholly recyclable products generated. Set up in 1992 with Regulation (CE) N° 1973/92, adopted by the European Parliament and Council to finance projects demonstrating considerable environmental value, the Life Programme is a financial tool designed to contribute to the development of innovative techniques and methods linked to the environment, with co-financing of demonstration projects through direct contributions from the European Commission. With view to reducing the gap between R&D results and their large scale implementation, demonstration projects are promoted which contribute to the practical carrying out of community policy as ratified by the Sixth Environment Action Programme. Cooperativa Ceramica d’Imola understands the importance of third-party environmental certifications and we are the first Italian tile manufacturer to achieve Green Squared® certification. 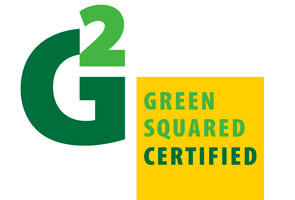 Green Squared® is a tile and related installation material product certification program developed by the Tile Council of North America (TCNA) that recognizes leadership in environmental stewardship and corporate responsibility. Green Squared® certification is a companion to ANSI A138.1, a standard developed under the American National Standards Institute (ANSI) process for sustainable ceramic tiles, glass tiles and tile installation materials. The standard establishes criteria across the product life cycle from raw material extraction through manufacturing, use, and end-of-life management. 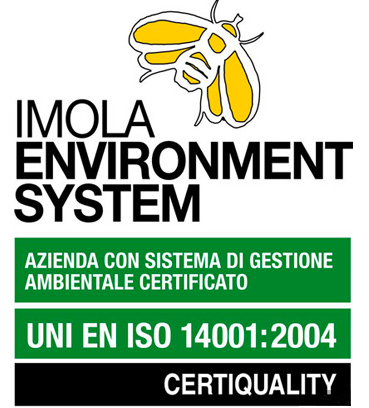 By designing our products for sustainability, manufacturing with environmental sensitivity, and leading operations with ethical responsibility, Cooperativa Ceramica d’Imola has met and exceeded all established mandatory requirements as well as additional elective requirements within each assessment category as defined in ANSI A138.1. Notably, as a result of having undergone the certification process, Cooperative Ceramica d’Imola no longer discharges any industrial wastewater to POTW and recycles 100% of its wastewater.